The central banks have risked it all and lost. They have reached the point of no return. The Fed decided not to raise rates, which are desperately needed to prevent a collapse in pensions and insurance companies, and merely froze like a deer in headlights. The superficial analysts who think lower rates are good for the stock market are blinded by their own stupidity. The theory that low rates will encourage people to buy stocks is brain-dead and demonstrates that these people are incapable of comprehending how the economy functions. We have taken simple correlations of interest rates and the stock market and discovered something in plain sight. 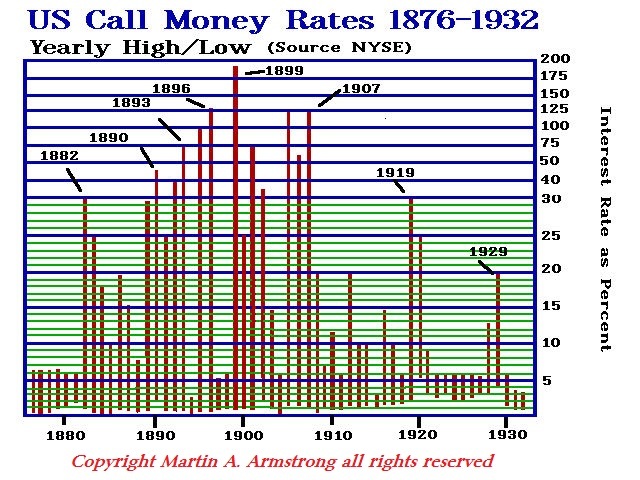 The market has NEVER peaked with the same level of interest rates in history. WHY? It is not the empirical level of interest rates that matters, rather it is the rate of interest that is a factor of expected inflation. Therefore, if the expectation of gain is greater than the rate of interest, there is profit in borrowing. If the expectation is below the rate of interest, then the rate must decline. Consequently, assuming that simply raising or lowering rates will reverse the trend is primitive and lacks any analysis whatsoever. The central banks have gone way too far and are now trapped. They do not have the ability to influence the economy anymore for they are loaded with government debt that will default. They have converted government bonds into one of the riskiest asset classes of all time. More and more of our institutional clients (pensions & insurance) are bailing out of government bonds and switching to corporate. Why? No major corporate debt becomes worthless. One was audited by S&P and they remarked that they were taking on more risk. They conducted their own studies to verify what we have been saying and found no corporate defaults, but countless government defaults and partial defaults. In the few rare cases of a default, you receive a payout after liquidation. In the case of government debt, you have something to frame and that is all. Government debt is unsecured and since they have the guns and the armies, you cannot force them to pay anything. We have been in meetings with pension funds. Here too, we find the same response. They are starting to shift. Government debt has become a time bomb. A simple 1% rate hike will be devastating to bond values and blow the budgets of government sky-high. The European Central Bank has created a total mess of the European banking system. Negative interest rates have been devastating. Now in the Middle East, the National Bank of Abu Dhabi and First Gulf Bank PJSC are exploring a potential merger to create the largest lender in the Middle East. But forget the fluff — banks do not merge unless there is a problem. Rumors behind the curtain say First Gulf Bank PJSC is in trouble. Negative interest rates have destroyed much of the economy. The rise in regulations and taxes have combined to create the weakest recovery in the United States post-Great Depression. This is not going to end nicely. 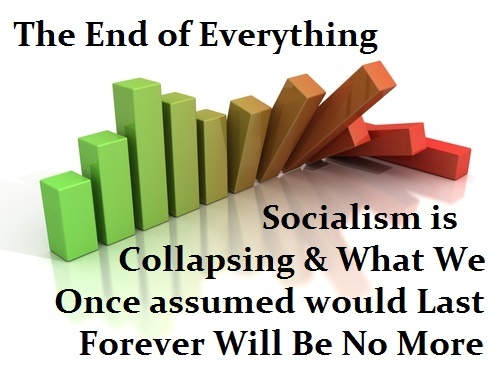 It is only a matter of time before the general public begins to see the real crisis, and then everything will explode in their faces.